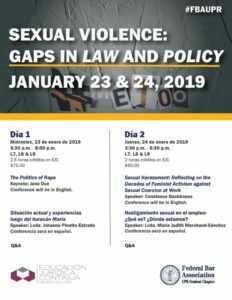 Ferraiuoli LLC is pleased to announce that María Judith (Nani) Marchand Sánchez, Esq., Capital Member of the Labor and Employment practice, will be a speaker at the upcoming Symposium Sexual Violence: Gaps in Law and Policy hosted by the Federal Bar Association UPR Student Chapter and the University of Puerto Rico School of Law. Her presentation is titled Sexual Harassment in the Workplace: What is it? Where are we? The conference is eligible for 2 hours of CLE Credit. This event will be held on January 24, 2019 at The University of Puerto Rico Law School from 3:30pm – 5:30pm. 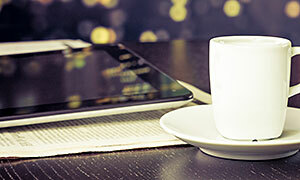 For registration, you can access: Fideicomiso para la Escuela de Derecho – UPR.